(l-r) Ariela Barer, Lyrica Okano, Rhenzy Feliz, Gregg Sulkin, Virginia Gardner and Allegra Acosta stars in MARVEL’S RUNAWAYS. ©Marvel/ABC. HOLLYWOOD—Life for young actresses Lyrica Okano and Virginia Gardner changed once they knew they were going to be part of the Marvel family. Along with the other cast members, Okano and Gardner were so excited about the news of being part of a successful franchise. Produced by Josh Schwartz, “Marvel’s Runaways,” available on Hulu, brings the original comic book to life of six teenagers trying to live a normal life in Los Angeles but things change when they learn their parents are actually supervillains. Okano plays Nico Minoru while Gardner plays Karolina Dean. They have a special connection with each other that the other kids don’t. But when Nico and Karolina, along with their other friends, find out about their parents’ secret, they all run away from home in hopes of righting the wrongs of their parents. Okano began her acting career a decade ago, starring in the short film “Moca” and subsequently worked on various television shows. Finally getting a call of a lifetime to star in the Hulu series, she is relishing the first major role of her career. During a break in filming, the duo took a moment to talk about being a part of the Marvel universe. Q: How did you wrap your head around display your superpowers? Gardner: It’s kind of tricky. It’s cool because you have a comic book to base your character off of because obviously, it’s not like you’re creating out of thin air because you can go back to the comic book and the way she did it in the book. Also, first you feel real stupid doing it because you’re holding your hands in a certain way hoping that the light shoots out and that it looks good the way that you’re doing it. I think it’s kind of like hit and miss. You have to trust the director and your co-workers not to look dumb. Okano: It’s like if the light doesn’t happen, we’ll take it from the beginning. For me, for Halloween, I was always a witch for every Halloween since I could remember. My mom made it to be that way and then I continued on with that. I’ve watched a lot of (filmmaker Hayao) Miyazaki films. I know I’ve always wanted to have powers and I’ve always wanted to be a witch. When I was cast in “Staff of One” for the first time and having to do an action shot with it, I almost cried. I’ve seen this somewhere in my dreams. I’ve done this as a kid before. It wasn’t too hard. Q: What were your first reactions when you found out you’ll be part of the Marvel family? Okano: I blacked out. I don’t remember. Okano: I’m pretty sure I cursed out loud in Jeph Loeb’s ear when I heard that. I’m so sorry. These characters are complex. They have to be fun and interesting for you two to dig into. What are the hooks that each character’s got into once you started playing them? Gardner: I think what struck me off the bat from reading the comics, is at first glance that all these characters are first look like stereotypes like a blonde church girl or goth or whatever. The more you read, you realize the characters are so not what they seem to be at first glance. I think it’s fun to play one character a certain way then taking it into another direction and then surprising people is really fun. Okano: We’ve all kind of built this facade so we’re not everything that you see yet. Q: Do you feel like you’re both breaking stereotypes—and you, Lyrica, being Asian American? Okano: I think so. For sure. It’s not every day you see a Japanese-American character that’s a witch and who is a goth girl and doesn’t give a ****. Doesn’t listen to her parents. It’s really cool. Gardner: Yeah. For my character, too. You see this perfect little church girl kind of take her life into a different direction and figure out that’s not who she really is and that’s what her parents wanted her to be. It’s really cool to play especially for our age group, there’s not a lot of TV shows that give teenagers the kind of writing that the show runners give us. That’s really fun too. Q: With each of your characters, how exciting is that to create that parent versus child dynamics that will fuel the show? Gardner: It’s really fun. It’s really tough because I love the actors that play my parents. We all feel connected to the people that play our parents. It’s kind of fun. We tease each other and play around with it too. It’s more of a fun dynamic. Okano: It is. I love the people that play my parents. Brittany Ishibashi and James Yaegashi. It’s such a dream cast. When Brittany (Ishibashi) plays Tina, it’s like no mercy. It’s really scary. Makes me want to cry. When they yell cut, she’s just like, “Want a cookie. I bought a cookie. Did you want a cookie?” She’s the sweetest person ever. Q: The cast is insanely diverse. It also has strong female characters. Is there a sense of responsibility to show that not only that women can be strong but also vulnerable? Okano: Do you mean if it’s a challenge? Q: A challenge. What responsibility do you feel to the younger generation who is going to be watching this? Gardner: I think it’s a really cool responsibility that we’ve been given in 2017. It’s such an important time to have this responsibility and I think that what our show does really well is show that we have a diverse cast, that we have women that area really strong and it has teenagers questioning authority and making decisions for themselves as they’re fighting evil. I think it will inspiration a whole generation of teenagers. Okano: No matter what background you come from, every character is relatable. Q: From what is seen in the first episode, it seems like there are complicated romantic arcs. Tell us what got you creatively charged about your characters? Gardner: As soon as I read the comic books, I was really excited about our relationship, Karolina and Nico’s. I think it’s something we haven’t seen in the Marvel universe before. So that was really exciting. We get along so well and we build the chemistry off of that. We’ve been excited about the romantic interest here. Okano: I’ve read the comic books and I follow some fan pages. I know what they’re up to and know what they’re doing. 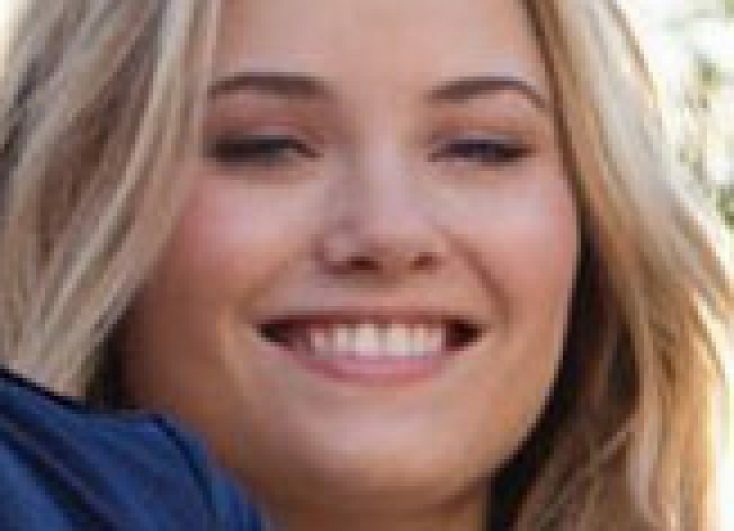 I got to agree that Karolina and Nico should be together. Oh, and Alex too. Q: Did they test the both of you to find that chemistry between you two? Gardner: That’s the interesting thing. We didn’t get a chemistry read. Were you and Alex together? Okano: We didn’t get a chemistry read. The first day we met up for the rehearsals, we were like, “This makes so much sense.” It’s kind of crazy how we managed to do this. Q: Did you think it’s going to be hard for you when the fans critique you or not? Gardner: I think there is pressure to live up to what fans are expecting and we want to do our best to that, but like anything, some people are going to love it and some people are going to hate it. I think we’ll do the best that we can and do our characters justice, and the way that we know how and hope that it lands with people. Okano: I totally trust and what the writers have done with our dynamic. I think it’s going to read well and I think people are going to react pretty well. 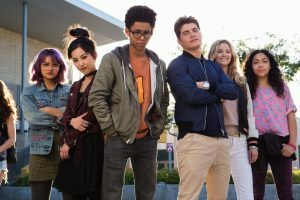 The first three episodes of “Marvel’s Runaways” airs on Hulu Tuesday Nov. 21. Hulu will subsequently air the remaining seven episodes on Sundays through Jan. 9, 2018.